Council President Ben Stuckart says the new contract is a victory for voters. Even as some took the tone of a chapter closing, others left the council chambers thinking only of the work left to be done. "I think we're on the edge," said local civil rights attorney Breean Beggs following an emotional city council meeting. At its meeting Monday, the Spokane City Council approved a new contract agreement with the Spokane Police Guild, which raises officer pay 2 percent per year from 2012 to 2015, expands retirement benefits in 2016 and outlines some new roles for the Office of Police Ombudsman. After a unanimous rejection of the previous version of this agreement in November, Monday's lone "no" vote was Councilman Mike Fagan, who called the agreement "too rich." The agreement must still be approved by guild members. The newest contract establishes a citizen commission to oversee the ombudsman, and allows that commission to order the ombudsman to do his own investigation if the ombudsman believes IA has not sufficiently investigated. (Ombudsman investigations must come after department decisions about officer discipline have been made.) The new agreement also allows the ombudsman to do preliminary investigations for the purpose of determining whether a complaint should go to IA and to publish closing reports about cases in which he is involved, as long as the reports do not include officers' names. Yet while this new contract expands the role of the ombudsman, the question of whether it does enough remained in dispute after Monday's vote. 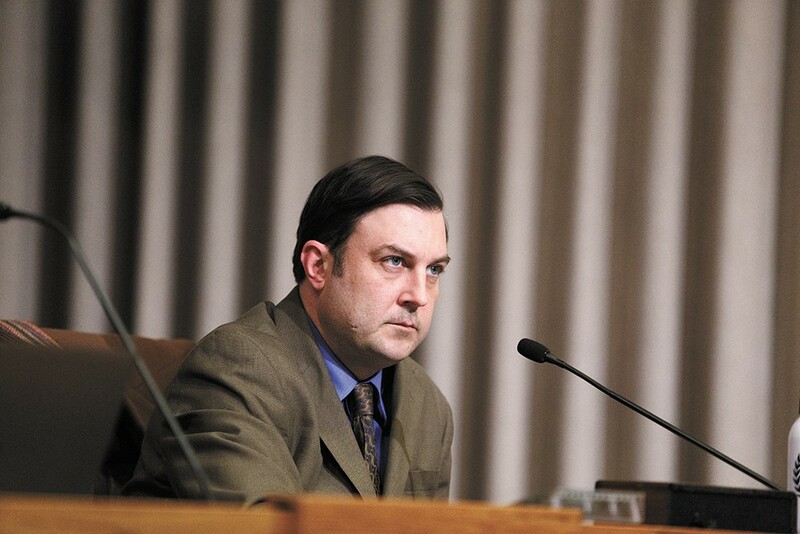 "This isn't a situation [of] 'as good as it gets,'" Council President Ben Stuckart said after public testimony Monday. "This is a win for the citizens. This is a win for the ombudsman office." But some community activists, like those who make up the Spokane Police Accountability and Reform Coalition (SPARC), argue the ombudsman should operate wholly outside of the police department's own process. That, they argue, would improve investigations and increase public trust by reversing the perception that the department is investigating itself and therefore cannot be fair. "I believe voters were voting for a traditional strong ombudsman who does investigations," says Liz Moore, director of the Peace and Justice Action League of Spokane and a member of SPARC. "That's not what this model is. This does not address the institutional bias." The mayor and Police Chief Frank Straub have argued that an ombudsman is actually more helpful when involved in IA, which is the only type of investigation that can result in officer discipline. Current city ombudsman Tim Burns agrees, calling the combination of IA involvement and some independent investigations "the best of both worlds." Beggs, who represented Otto Zehm's family in its civil suit against the city, sees the middle ground. Separating the ombudsman from IA is the ultimate goal, he says, but this is a first step. Beggs suggested some language additions for the ordinance passed Monday to specify exactly what matters the ombudsman can investigate and guard against the fickleness of changing ombudsmen or city lawyers, but the council did not make those changes. Still, Beggs remains hopeful.